More is not always more. A 100-page plan, a one-hour speech, or a business performance dashboard with 50 data points can remove you from the essence of whatever you are doing. Bells and whistles are great. I love them. But they are bells and whistles. If they distract you or your team from the heart of the matter, they can actually create disengagement. If you want me to speak for 5 minutes, I need a week to prepare. If you want me to speak all day, then I am ready now. You see, getting to the essence of something in a powerful, concise manner is a much more difficult task that droning on about an idea or topic. Twitter users know that each tweet must be written within a limit of no more than 140 characters, including spaces. Can you articulate your company’s mission in 140 characters or less? Strategy? Value proposition? Business plan? For The Jinks Perspective, while our full mission statement is longer than 140 characters, it can be summed up as: “helping leaders achieve clarity, simplicity, and alignment in their work.” I still have 60 characters left over! How long are your staff meetings? If you cut them in half, could you accomplish even more? What about your goal deadlines? What if you cut those in half? You get the idea! If say any more in this post, I am contradicting myself! 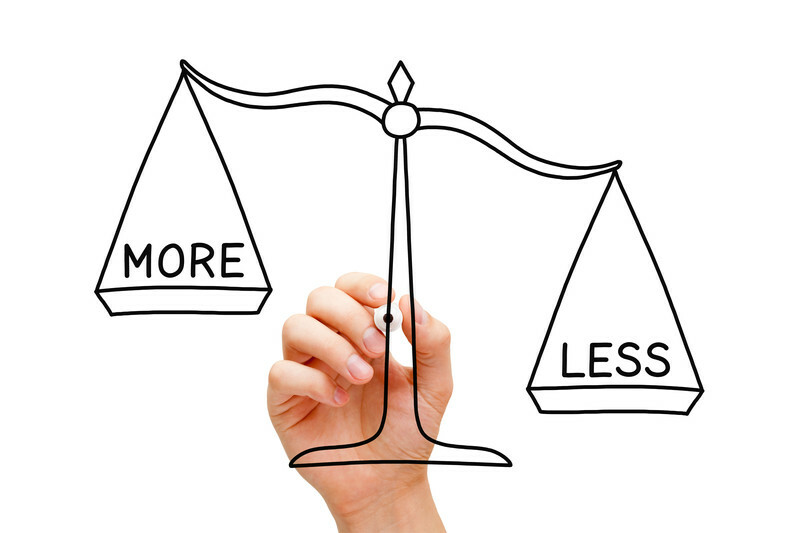 Can you think of more examples where less is more? Share it with us! But, *ahem*, be succinct! Nailed or Hailed — What to Do?